This information only pertains to special accommodation requests for apartments & residence halls. A resident with disabilities, chronic medical conditions, or psychological conditions that inhibit a student's ability to live in certain apartments or residence halls may qualify for special accommodations. If residing in a university facility creates challenges due to any qualifying condition, documentation must be submitted. Accommodation examples include residing on a lower floor, wheelchair accessible rooms, reduced access to restrooms, etc. Student should complete the Special Accommodations Request Form and have their medical provider complete the Special Accommodations Medical Provider Form. A licensed medical provider must verify the student's condition. (The medical provider cannot be a friend or relative of the student.) Both forms must be submitted electronically to Housing & Residence Life in order to be considered. Documentation will be reviewed by Housing & Residence Life, Health Services, and Disability Support Services (if applicable) within 7-10 business days of receipt. All documentation is confidential and shared with the above-mentioned staff in a decision-making capacity only. While all attempts are made to honor approved requests for medical/ADA singles, they are subject to space availability and are not guaranteed. As part of the verification process, the medical provider recommendation will include a notation of “required” or “beneficial.” Individuals with a “required” recommendation will be charged the double room rate for their single room accommodation; individuals with a “beneficial” recommendation will be charged the single room rate for the room assigned. 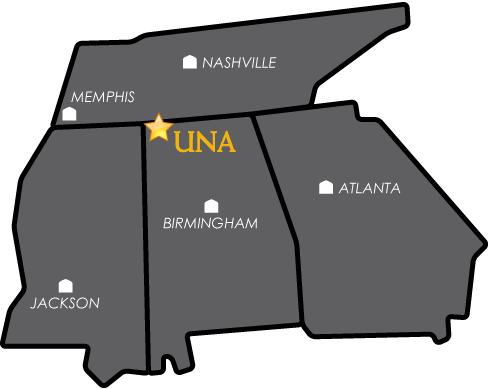 Housing & Residence Life will request any additional information and/or provide special accommodation information via the student's UNA Portal email. While there is no official deadline to submit requests for special accommodations, failure to request accommodations in a timely manner may result in a delay of services. Our residence hall assignments process will begin June 20th and accommodation requests received by that date will receive priority assignment. We will continue to honor special accommodations as space and availability allow. Our apartments assignment process is ongoing.